With an increasing number of travellers seeking to maintain a healthy lifestyle while on vacation, The Yachts of Seabourn is meeting this growing trend with the ultimate sanctuary of relaxation and wellness aboard the new Seabourn Sojourn, which is scheduled to debut June 6, 2010, in London. The Spa at Seabourn on Sojourn will offer several new and exciting healthy spa experiences, as well as some of the most luxurious pampering services at sea. One of the newest and most innovative spa amenities on Sojourn is a Kneipp Walk, providing holistic, water therapy treatment and healing remedies designed to enhance circulation. Guests will feel the benefits of the Kneipp Therapy as they walk slowly through a circular basin separated into areas of cold and warm water, stimulating capillary circulation and metabolism, and soothing pain. Additional new amenities in the 11,400-square-foot spa include cushy cocooning recliners, a herbal bath facility and an aroma steam bath with salt inhalation. The two-deck spa will also feature an outdoor, cabana-style relaxation area, furnished with lounge chairs and sofas in warm and soothing tones, where guests can enjoy the peaceful environment and fresh breezes from the open sea. Décor will include new colourful coral-themed artwork. Wellness and fitness are so important to consumers today and we are seeing more and more guests seeking to keep up their healthy lifestyle even when they are travelling, said Pamela C. Conover, Seabourn’s president and CEO. 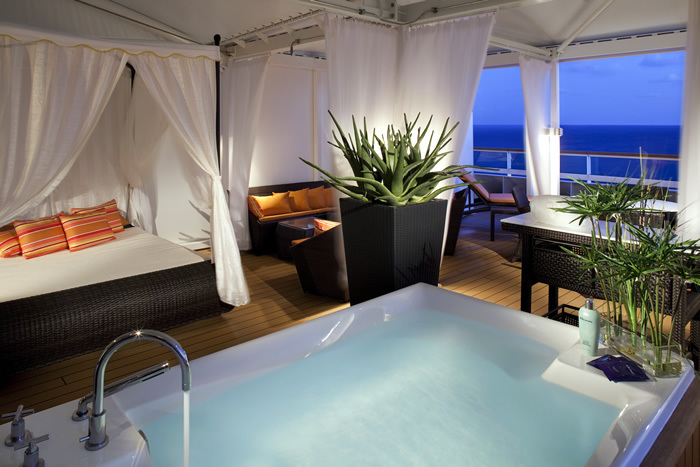 The Spa at Seabourn on Sojourn will cater to those needs and enable guests to combine the satisfaction of amazing travel experiences with the best and healthiest luxury spa at sea. The spa will house six treatment rooms and a Spa Villa, available for guests to book along with their treatments. The Spa Villa will feature a treatment area large enough for duet treatments, complete with shower; a bathtub big enough for two; a private balcony for sunbathing; a full living room area; a double daybed for relaxing and even a dining area where healthy snacks can be enjoyed. Guests can indulge in a selection of relaxing and healing treatments, and expert therapists can custom design treatments to fulfill guests’ desires. 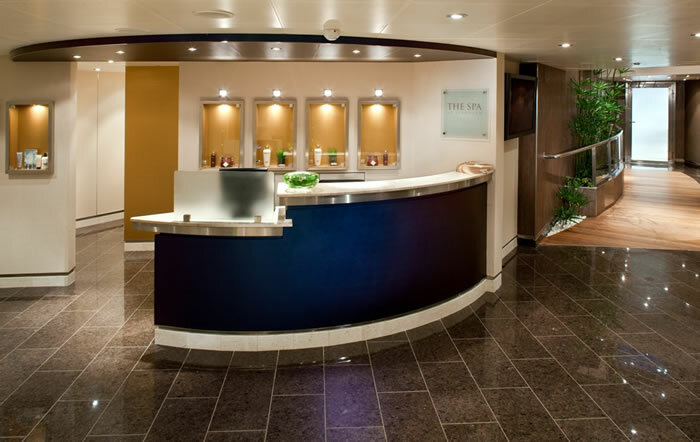 In addition to high-end Elemis products, the Spa at Seabourn is the only seagoing spa employing specialists trained and authorised to administer the award-winning SkinCeuticals skin care line of scientifically-backed products, serums and treatments for every skin concern. The spa will also feature a full-service salon and a thermal suite with eight heated loungers, cocooning recliners, an aroma steam bath with salt inhalation, and a unisex herbal bath. The women’s changing area will feature a Bio sauna, while the men’s area will include a traditional Finnish sauna. 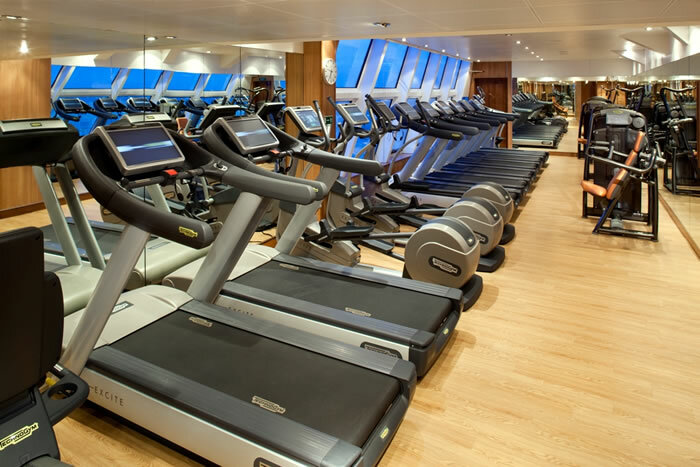 The fitness center will feature state-of-the-art fitness, cardio and strength equipment; a motion studio with the latest version of the Kinesis System; fitness classes; and an area featuring a Thai mat for Thai massages, available only on Seabourn. Personal trainers will be available to develop customised workout plans. Seabourn Sojourn will enter service 6 June 2010, and operate a series of 12- to 14-day voyages in Northern Europe during its maiden summer season. Following a transatlantic cruise from Lisbon, Portugal, to Fort Lauderdale, the vessel will offer a series of Caribbean voyages in the autumn and winter. On 5 Jan 2011, Sojourn will embark on a 111-day World Cruise from Los Angeles to London via the South Pacific, New Zealand, around Western Australia, Indonesia and Southeast Asia, India, Arabia and the Mediterranean. Contact Deluxe Cruises for further details and book your Sojourn Experience!